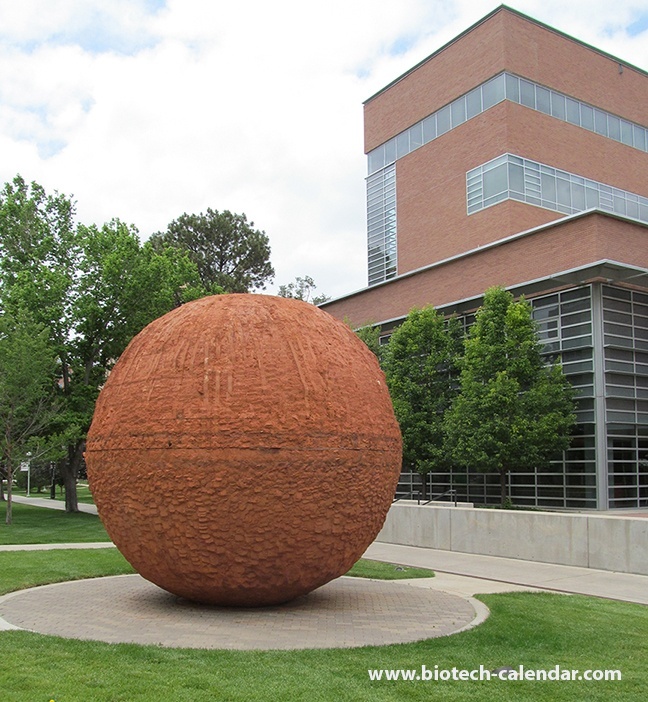 A reminder of the mysteries of science daily stands outside the University of Colorado, Boulder BCI event. 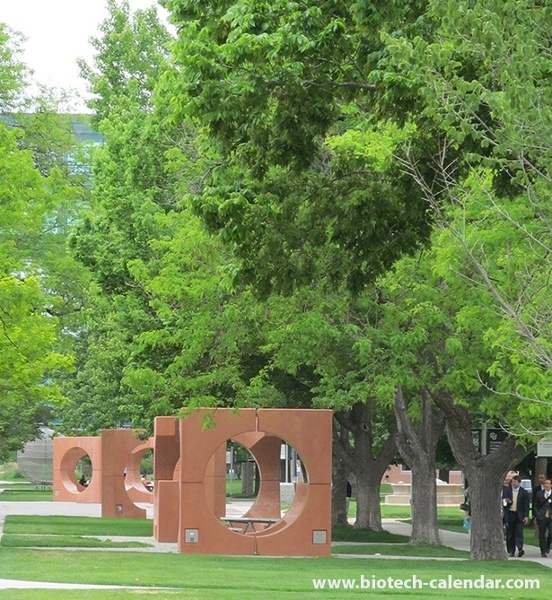 Forensic science could be employed to procure the connection between these square pegs with round holes and the previous statuary outside the University of Colorado, Boulder BioResearch Product Faire™ event. 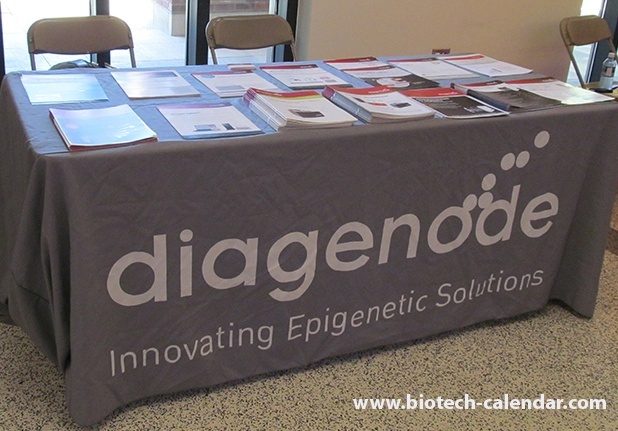 Epigenetic solutions from Diagenode are on display at the Boulder BCI event. 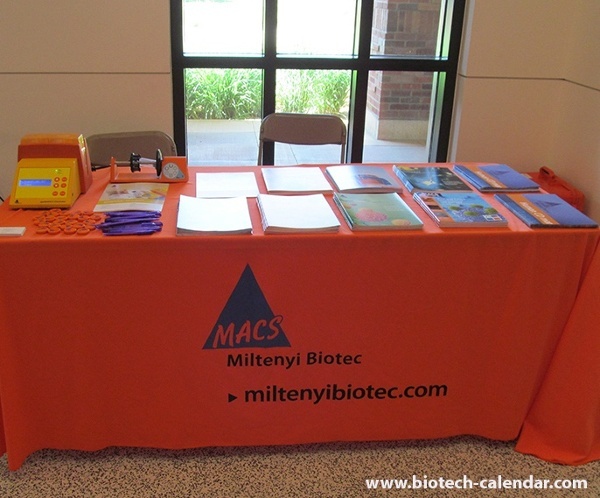 Miltenyi Biotech offers scientists helpful solutions in their efforts to solve science questions at Colorado BCI event. Science fair atendees register for Boulder BioResearch Product Faire™ event. 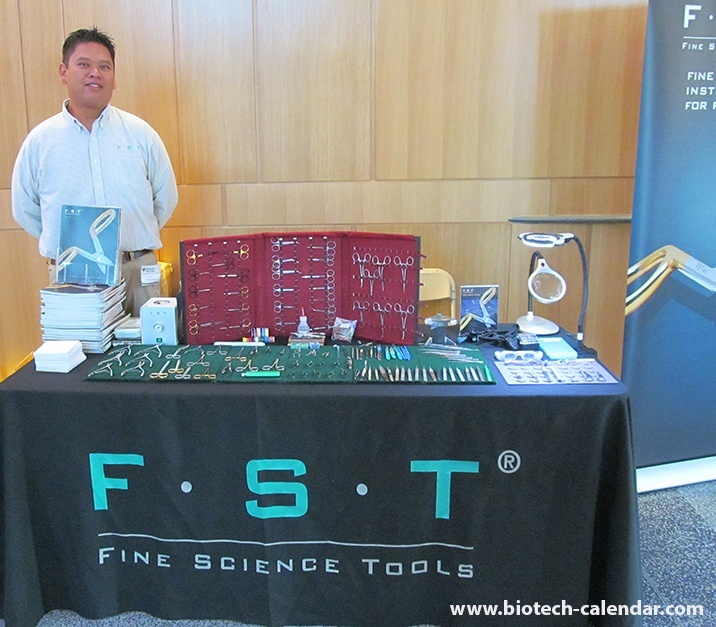 Fine Science Tools rep is ready with hands on display for Colorado BCI event. Laboratory equipment display by BioExpress is ready for a busy University of Colorado, Boulder BCI event. 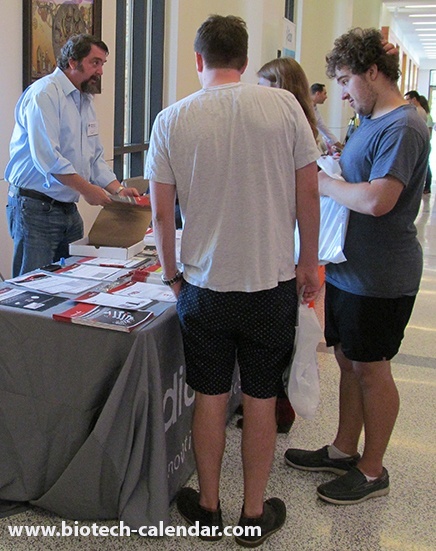 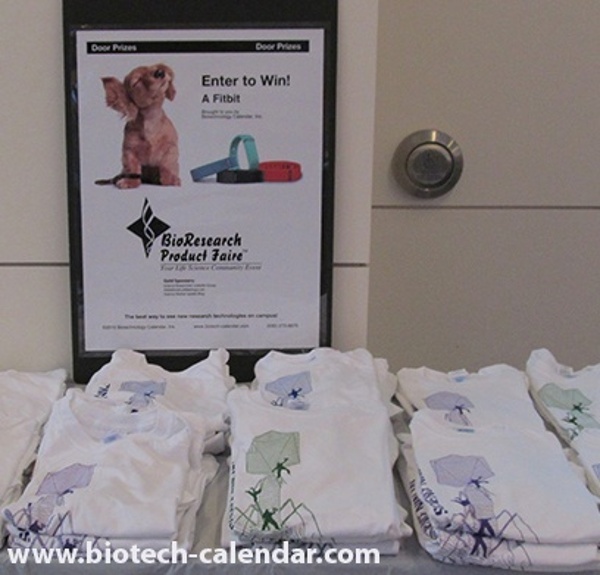 Happy scientists find free T-Shirts and door prizes at University of Colorado, Boulder BioResearch Product Faire™ event. 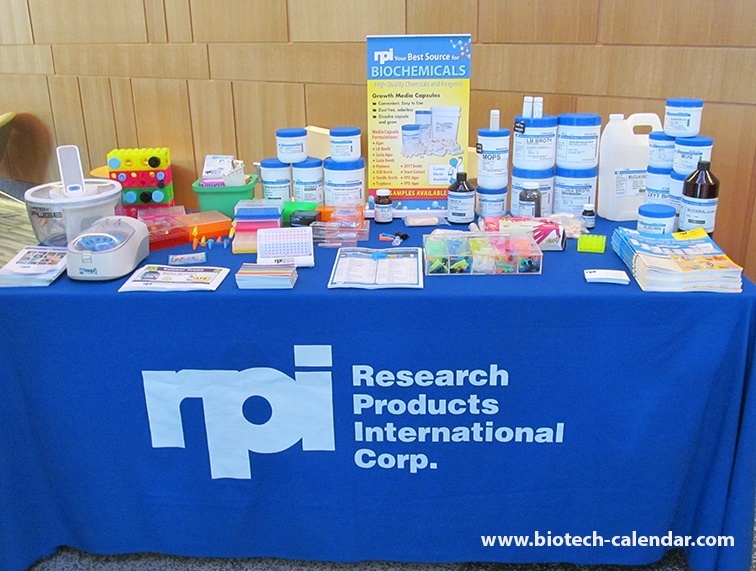 Life science research products display by RPI stands ready for busy Colorado BCI event. 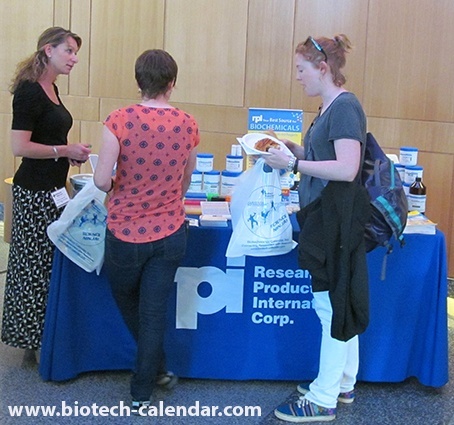 Science questions are explored by life science reserchers at Boulder BCI event. Keeping up with current events aids this rep in ansswering scientific process questions at University of Colorado BCI event. 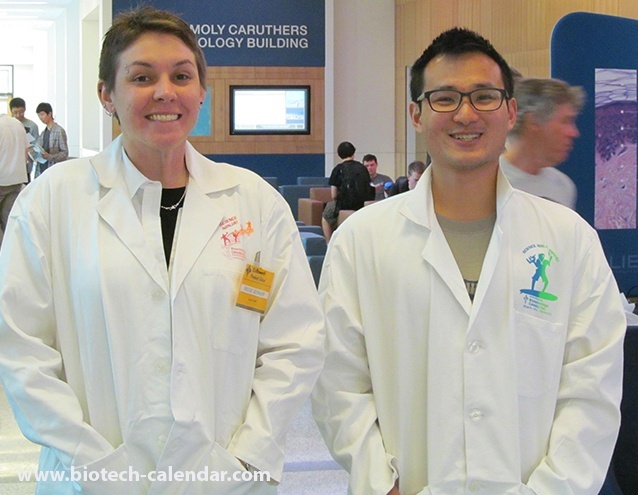 Five star free lab coats are modeled by happy scientists at Boulder BCI event. 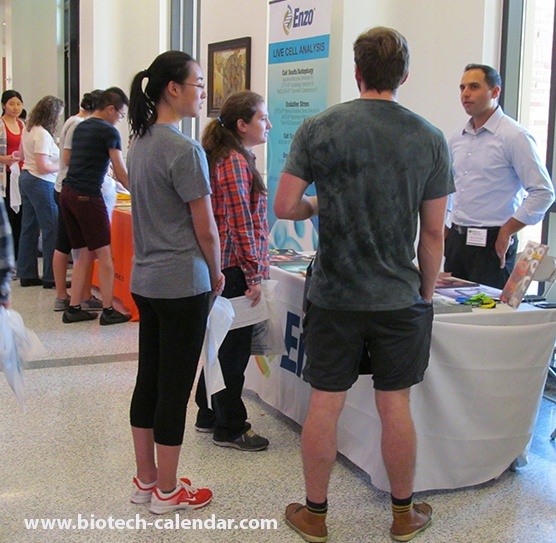 Molecular biology science equipment offered by Enzo Life Sciences helps answer research assistant questions at Colorado BCI event. 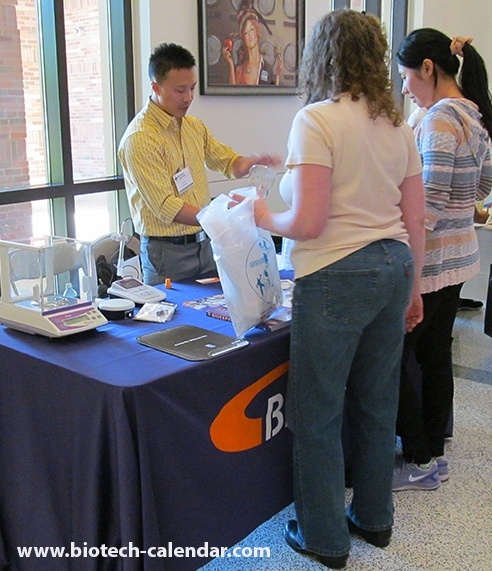 In science news at Colorado BCI event, this rep demonstrates new lab equipment to interested scientists. 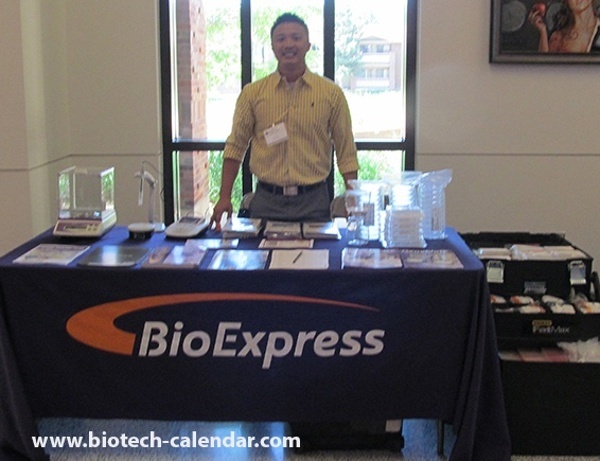 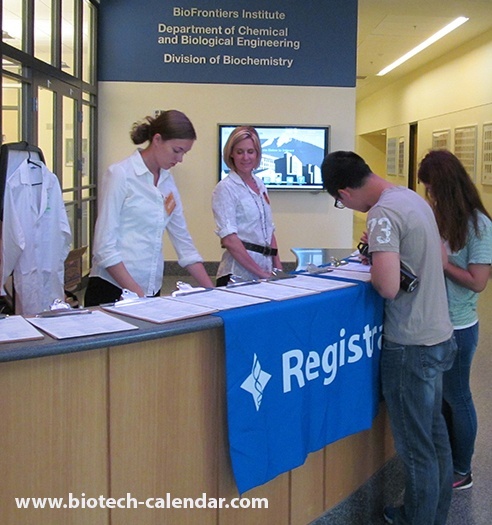 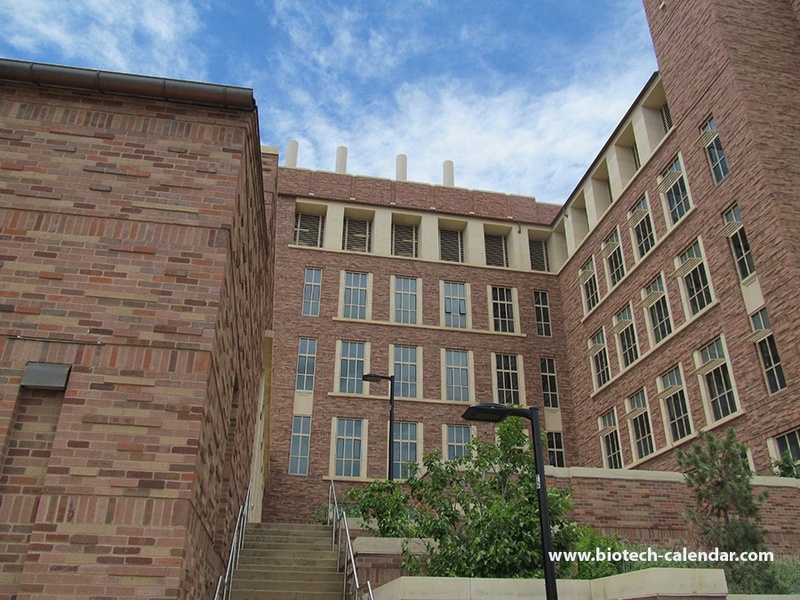 Biotech labs are invited to University of Colorado, Boulder BioResearch Product Faire™ event.